My new book, let me show you it. Dillon, Eilís. Wild Geese. NY: Simon & Schuster, 1980. 352pp. Also London: Hodder & Stoughton, 1981. Wild Geese… the romantic name given to Irish Catholics who fled their homeland for France and elsewhere in the wake of continued persecution in the 17th and 18th centuries. Noted Irish writer Eilís Dillon's novel expresses the adventurous spirit and plaintive longing found in those words. Memories of Ireland haunt her novel's characters. Its soil remains in their blood, even though they seek a new start elsewhere, even though their old lives brought them little happiness. Wherever they go, they continue to love and yearn for a land that didn't always welcome them. Louise and Robert Brien, sister and brother, come from a long-established family of Catholic gentry, one whose rights to their ancestral lands are tolerated only because of their connections to powerful English relations. In 1779, their weak-willed father, Maurice, acquiesces to his second wife's wishes by sending them abroad to live with their French cousins. Louise's mission is to obtain her rightful inheritance from her grandmother's cousin, Charlotte. Once in France, however, the siblings prove to be no match for their selfish, snappish relations and the decadent artificiality of the Parisian aristocracy. The hypocrisy of her cousins' social circle is made plain to Louise: "Everyone was talking philosophy and the rights of man, but she had noticed that as soon as one applied these ideas to real people, one met with a blank stare, as if some gross vulgarity had been committed." 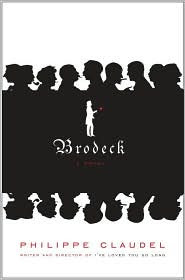 Robert, devoted yet extremely naïve, falls into the seductive web of Charlotte's treacherous daughter, while Louise discovers an unexpected ally in Count André de Lacy, another French-Irish cousin she had briefly met back in Ireland. An outrageous scandal then separates brother from sister, sending Robert and André across the Atlantic with the French army to fight for American independence. After escaping to the household of other distant cousins, the Countess de Rothe and her daughter, Madame Dillon, Louise soon finds herself languishing in Angers, the "city of bells," trapped into wedlock with an elderly nobleman. 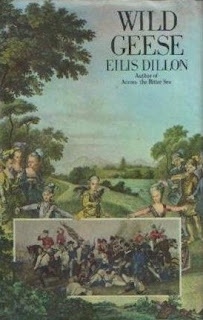 Eilís Dillon devotes much time to Irishmen's experience fighting with Rochambeau in France in America's war, though her prose comes alive mainly when depicting more domestic scenes -- such as André's visit to the Lally farm in Hartford, Connecticut. One can't help but feel for Pauline Lally, a bitter woman whose five American-born children failed to thrive, and who longs to return to France despite André's warning that its people are growing restless under monarchical rule. At some point, Dillon may have realized that André made for better romantic hero material than Robert, for André's viewpoint takes over the story partway through. There are some humorous moments, for Louise's Irish maid, Biddy, has a delightfully sarcastic side, but overall the novel's tone is understated and restrained. While it suits the subject, it has the effect of keeping readers at a distance. The romantic feelings between Louise and André, which develop fully only after their separation, are not quite as palpable as they could be. Robert's and Louise's stories take unexpected, ironic turns throughout the novel. Often their actions (or lack thereof) result in the exact opposite of what they and their families hoped for them, but both triumph in their own ways over society's restrictions. Not all of the novel's many characters find happiness, and if they do, it's an achievement hard won. Clearly written and tinged with melancholy, Wild Geese will interest readers looking for a unique perspective on the American Revolution, the lead-up to the French Revolution, and the Irish experience abroad. Unlike some other novels in my Obscure Books series, Wild Geese is easy to find (and cheaply, too) from out-of-print book dealers. I got my copy for $1 at the Carbondale Public Library's book sale last year. Eilís Dillon (1920-1994), a popular writer in Ireland, was the niece of Joseph Mary Plunkett, a poet and leader of the 1916 Easter Rising. Wild Geese garnered rave reviews upon its publication in Ireland and England, though her bestselling epic about Irish independence, Across the Bitter Sea, was more widely celebrated. You can find more details on her novels (many of which are historical) at the Eilís Dillon Irish Writing Pages. In German, the word means "scissor-cuttings." Thanks to my coworker Jackie at the reference desk, I now have a name for the gorgeous artwork I've been seeing on some historical fiction book jackets. 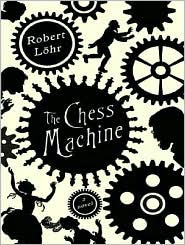 In past blog entries, we looked at John Harwood's The Séance as well as Robert Löhr's The Chess Machine, the latter in a post that compared the hardcover with the paperback. At the time, I preferred the newer, redesigned cover, but now that I have a copy of the former in hand, I'm changing my story. The JPG below doesn't do it justice; you miss much of the crispness of the edges and the intricate detail of the design. Both the Groff and the Löhr are featured in AbeBooks' gallery of 30 Novels Worth Buying for their Covers Alone, as Lucy noted in a post last month. (I'm three out of four for owning these. The Claudel is out in June.) Four examples doesn't yet indicate a trend, but are there any others I'm missing? I wish Blogger didn't oblige me to title these posts made up of semi-random thoughts, because giving them formal titles makes me feel I should be saying something profound. Over the past couple days I've added many new HF-related blogs to my sidebar. When I first started blogging for real - three years ago tomorrow (gulp, I have an anniversary coming up!) 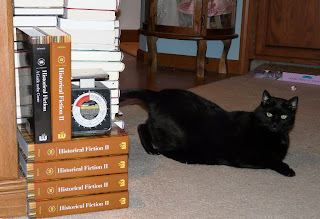 - there were only five or six other historical fiction blogs out there. It's exciting to see so many new bloggers coming on board! I've noticed that some bloggers have little widgets set up telling blog visitors where other recent visitors are arriving from. Oddly, these widgets seem to think I'm in Casey, Illinois, which is a small town (pop. 3000) half an hour away. It's just off I-70 and has a couple decent restaurants, but neither I nor my ISP lives there. 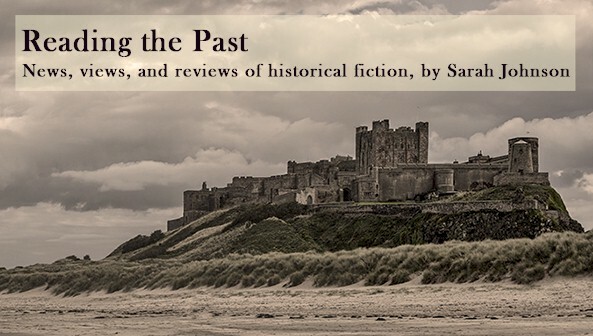 My three-month-long reading slump is over, after having finished two real page-turners I've just reviewed for May's Historical Novels Review... Rebecca Dean's Palace Circle and DeVa Gantt's Decision and Destiny. I'm also having an enjoyable time reading Eilis Dillon's Wild Geese, about an Irish Catholic brother and sister sent to Paris in the late 18th century to live with other expatriate relatives. I hope to review it here in due course. It's fun to discover unexpected cross-references between it and past reads. For example, Arthur Dillon, father of Henriette-Lucy Dillon from Sheila Kohler's Bluebird, or the Invention of Happiness, is a secondary character, and I'm curious if the author (a noted Irish novelist) is herself a distant relation. About 120 pages in, there's a slowish episode in which the male lead makes his way to the American colonies aboard ship, but once he and I both escape these doldrums, I expect the pacing to pick up again. I'm still pretty busy with conference planning, writing up peer evaluations, and teaching large groups of high school students how to use the library, but I've also finalized plans to attend BEA in New York City the last weekend in May. I'll be there for four nights. Anyone else attending? It would be great to meet up! I had a nice surprise waiting for me when I came home ... a box with author copies of my brand new reference book. Warning - some BSP ahead, but I hope the cute kitty pics make up for it. 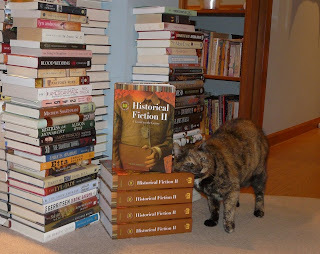 It's an annotated guide to historical novels published between 2004 and mid-2008, organized by subgenre (traditional historical novels, epics, mysteries, romance, sagas, fantasy, alternate history, etc. ), plus a detailed introduction, recommended reading lists, and four indexes. More than 2700 books are organized and described within. The official release date is March 30th. You won't see it in bookstores, but you'll be able to find it on library shelves in the near future, as well as in the publisher's catalog. As you can see, it's quite a sizeable tome. Note the fortress I call my TBR pile in the background; the book piles are two deep at present. The list price is $65, which is typical for a 750-page reference book with library binding. For anyone who's concerned about getting your money's worth, you can think of it as $17.33 per pound if you prefer. The odd thing is it's heavier and larger than volume 1, despite being 70 pages shorter. Different printer, I expect, and different paper. 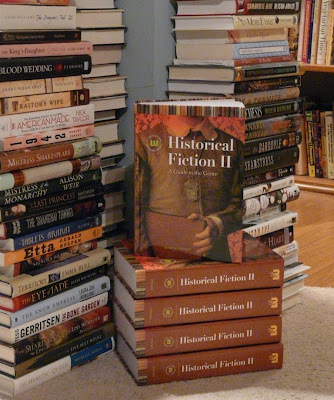 The original Historical Fiction: A Guide to the Genre (from 2005) sits next to its new companion volume, above. Tortie's brother Max doesn't seem overly excited about it, but since excitement for him involves hairballs and messy carpets, that's okay with me. It seemed only fair I do a preview of upcoming British titles, but it isn't always easy to find the corresponding cover art. Many publishers don't post the JPGs until just before pub date. I've gathered up some I've been able to find. An Indian Sikh fighting for the British Empire in WWI ends up in a Leicester hospital, where he falls in love with an English nurse. An epic of love and war, set in Britain and India. Doubleday UK, July. Evelyn, one of Britain's first female lawyers, finds her life turned upside down just after WWI when a woman turns up on her doorstep with unexpected revelations about Evelyn's late brother. The cover reminds me of the makeovers which Victoria Holt's gothic romances have received in the UK. You'll have seen the US deal for this novel in my previous post. Weidenfeld & Nicolson, 11 June. The prolific Doherty's third mystery featuring Mathilde of Westminster, set in 1312, as England's barons are getting riled up about Edward II's relationship with Piers Gaveston, and Robert Bruce presents a challenge to Edward's throne. Headline, 2 April. Elphinstone's new novel is set among the hunter-gatherers of Mesolithic Scotland, some 8000 years ago, and is called "a tale of conflict, love, loss and natural disaster." More details at the author's website. Canongate, 21 May. I've been waiting for this novel ever since Candace Robb detailed her plans for it in her Solander columns a few years ago. Written under the pseudonym Emma Campion, this is a biographical novel of Alice Salisbury, a young woman who arrives at the court of Edward III and King Philippa and later gains notoriety as the king's favorite. The title and cover art are generic (we've moved from headless to shapeless) but I expect the story won't be. Century, April. 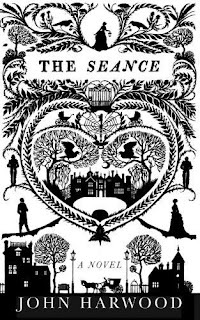 A sweeping historical novel of star-crossed love, prejudice, superstition, and entomological discoveries set in London and Somerset at the time of the Restoration, based on the life of Lady Eleanor Granville. See the author's website. Preface (Random House UK), 16 July; it has also been picked up by Putnam's Rachel Kahan for US publication in 2010. Now on to our second of three headless women covers. This is biographical fiction about Ann More and her whirlwind romance with the much older poet John Donne. (Has anyone besides me ever read Elizabeth Gray Vining's Take Heed of Loving Me, which has the same subject but focuses on Donne himself?) Pan, 3 April. Which version do you prefer, UK (the first image) or US (the one directly above)? The British cover reminds me of the lurid 1970s-era paperbacks I see in library book sale bins. The design gives the impression that the book is old and tattered, so this may be deliberate, and Waters' novels sell by name recognition alone. The latter is more artsy and attractive, and though it's not very distinctive, it's appropriate for a postwar ghost story set in rural Warwickshire. Virago, 4 June; also Riverhead, 30 April. Above are the UK and US covers for Katherine Howe's debut novel, called The Lost Book of Salem in Britain and The Physick Book of Deliverance Dane stateside. I prefer the US title (more evocative of the period, says I). A Harvard graduate student finds a key within a 17th-century Bible that leads her to uncover the mystery of Deliverance Dane's spell book, as well as her own ties to Salem's dark past. Penguin UK, 25 June; also Voice/Hyperion, July. A novel of passion, betrayal, art, and the creation of amaretto liqueur, set in 16th-century Tuscany. Having just finished (and immensely enjoyed) Marina Fiorato's The Glassblower of Murano, set in modern and 17th-century Venice, this one's high on my wish list. Beautiful Books, 14 May. First in a projected quintet of historical novels set during the rise and fall of the Moghul Empire over two centuries. This entry centers on Babur, warrior and ruler of Ferghana, the dynasty's founder. From the masculine cover, it looks to be aimed at the Conn Iggulden crowd. Headline Review, 11 June. Skaaha, daughter of an Iron Age warrior queen on the Isle of Skye, forges a new life for herself. Based on the story of the historical Scathach, a legendary Scots warrior woman. Paisley's previous novel was White Rose Rebel, about Anne Farquharson, the "female Braveheart." Penguin, 2 July. From the author of A Place for Greater Safety, among other things, a 672-page historical/psychological epic about Thomas Cromwell and the 16th-century English society he lived in. Fourth Estate, 30 April. Please excuse my long blog silence. Between nonstop conference preparations and catching the flu, the past few weeks have been a blur. I'm working on a longer "preview" post, but in the meanwhile, here are four recent deals from Publishers Marketplace. The first two are biographical novels of (you got it) famous 16th-century women. In addition, jump over to the HNS forthcoming books page for an updated list of upcoming titles through September. 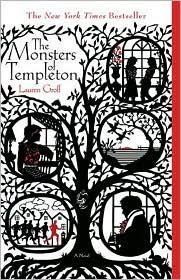 I'm very pleased that Sarah Cuthbertson volunteered to contribute info on forthcoming UK titles, so there are a significant number of new additions from British publishers. Thanks, Sarah! Jeane Westin's HIS LAST LETTER, focusing on the mature relationship between Elizabeth I and her lifelong love Robert Dudley, inspired by the deathbed letter the queen received from Dudley, part of which survives to this day, to Ellen Edwards at NAL, in a nice deal, by Danielle Egan-Miller at Browne & Miller Literary Associates (NA). PEN Hemingway award finalist for Icebergs Rebecca Johns's THE COUNTESS, the story of Elizabeth Bathory, perhaps the most prolific female serial killer in history, pitched as Abundance by Sena Jeter Naslund meets Patrick Suskind's Perfume, to Suzanne O'Neill at Crown, by Richard Abate at Endeavor. Robin Oliveira's MY NAME IS MARY SUTTER, set in the mid-19th century, following the aspirations and difficulties of a brilliant, somewhat odd, yet remarkable young midwife from Albany, New York whose lofty hope of becoming a surgeon far exceeds what her family, physicians, and medical schools of her time are willing to accept, and she travels to Washington, DC to work in the Civil War hospitals, only to find the challenges formidable and the pull of home unavoidable, to Kathryn Court at Viking Penguin, in a significant deal, in a pre-empt, by Marly Rusoff of Marly Rusoff & Associates (NA).